Life isn’t always fair. Business certainly isn’t. How we adapt to less than perfect circumstances is a key factor in our success. 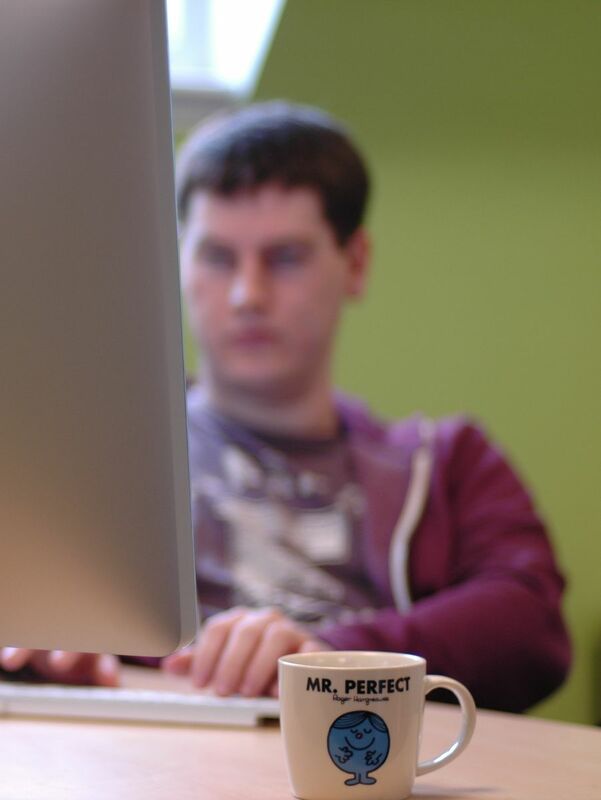 Many of us that work in the digital sector are perfectionists. We believe in doing things right. Nowhere is this trait more pronounced than among developers. If you do things right the first time, you save yourself time and effort further down the line. It is a good philosophy, but circumstances don’t always lend themselves to perfect. Sometimes good enough has to be… Well… Good enough. Budgets, deadlines, business requirements, can all conspire against us. Instead of making things perfect we have to learn to compromise. To work within the constraints set upon us. Chris Henderson is one of the developers at Headscape. He is a great example of somebody who can balance doing things right with just getting things done. What is more, we knew he understood this even before we hired him. Chris Henderson (a developer at Headscape) understands that a pragmatic approach is sometimes required. As part of the hiring process at Headscape we set developers a mini project to do. A test, if you will. It’s the best way we have come up with to ensure their code is up to scratch. When we sent out the test to Chris we sent the wrong one. Chris, a recent graduate, was a .net programmer but we sent him a PHP test instead. Chris had never programmed in PHP at that point. We weren’t trying to be clever, it was just an honest mistake. Chris could have come back to us and pointed out the error. He could have complained that the test was unfair. He could have written the project in .net. Instead he learnt PHP. He worked within the constraints placed upon him. He knew the result wouldn’t be as good, but decided to take up the challenge. He didn’t moan. He didn’t complain. He just got on and did the best he could. That is why we hired him. He rose to a challenge, even if that challenge was unintentional on our part. But more than that, he adapted to the less than perfect circumstances. There are two types of people. Those who see constraints as a frustration and those who see them as a puzzle to solve. Hiring him was a wise move. Time and again I have seen Chris create something incredible out of difficult circumstances. I’ve seen him support code that was written an age ago. Integrate with systems that should long since have been retired. And achieve more than should be possible with tight budgets and in unrealistic deadlines. There are two types of people in the world. Those who see constraints as a frustration to resist and those who see them as a puzzle to solve. If you want to be successful in web design, you need to be the latter.